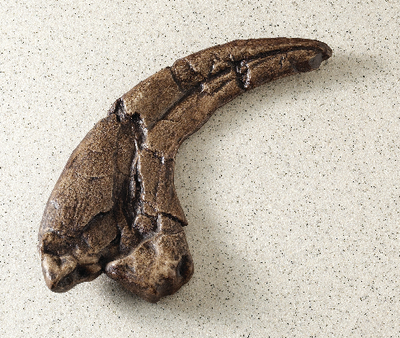 This exceptionally large tearing claw is from a recently discovered dinosaur. Size: 7"L. Resin. Utah.